TO ORDER – COMPLETELY FILL OUT AND SUBMIT THE CONTACT FORM AT THE BOTTOM OF THIS PAGE. WE WILL REPLY WITH A TOTAL COST INCLUDING SHIPPING AND PAYMENT INSTRUCTIONS. SHIPPING COSTS VARY ACCORDING TO THE ITEMS AND SIZE OF ORDER. YOU MAY ALSO CALL US AT 303-219-4727 AND LEAVE A MESSAGE WITH YOUR TELEPHONE NUMBER AND ITEM LIST. 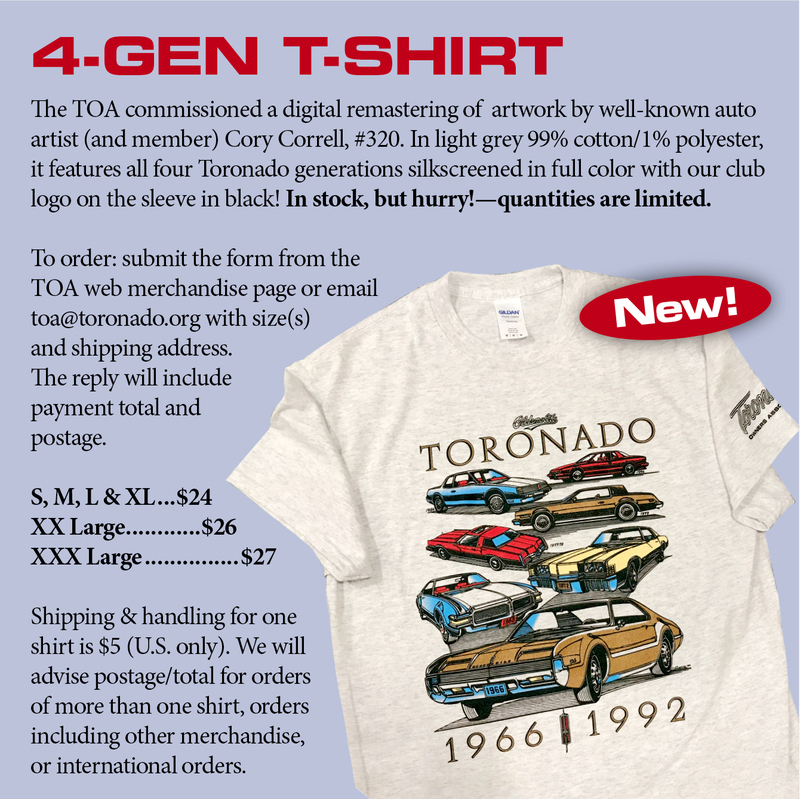 You can mail your order to TOA, PO Box 373, Hubertus WI 53033-0373 or email your order to membership@toronado.org. We will reply with the total cost and payment info. 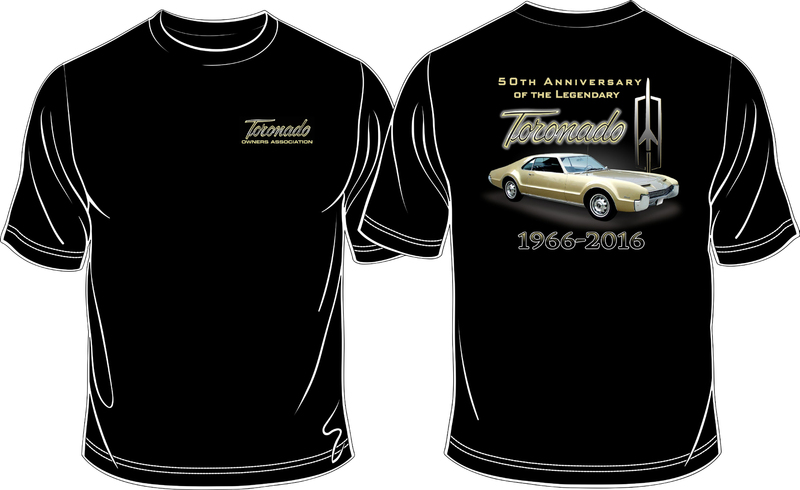 To order: Submit the form from the TOA web merchandise page or email toa@toronado.org with size(s) and shipping address. Shipping & handling for one shirt is $5 (U.S. only). Contact us for S&H cost for more then one shirt, combined with other merchandise, or international orders. 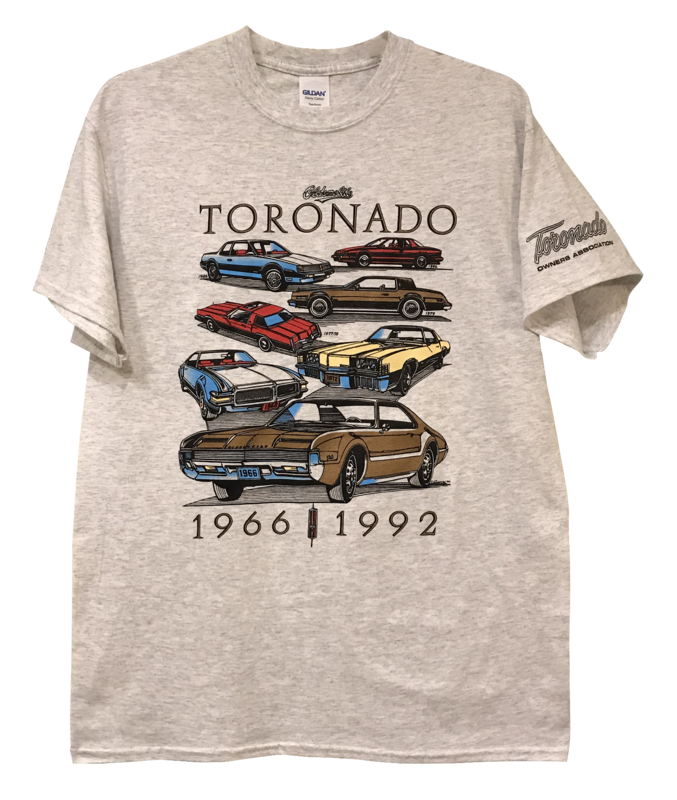 These high quality keychains are the perfect accessory for the Toronado enthusiast! Get yours for $10.00 each plus postage. 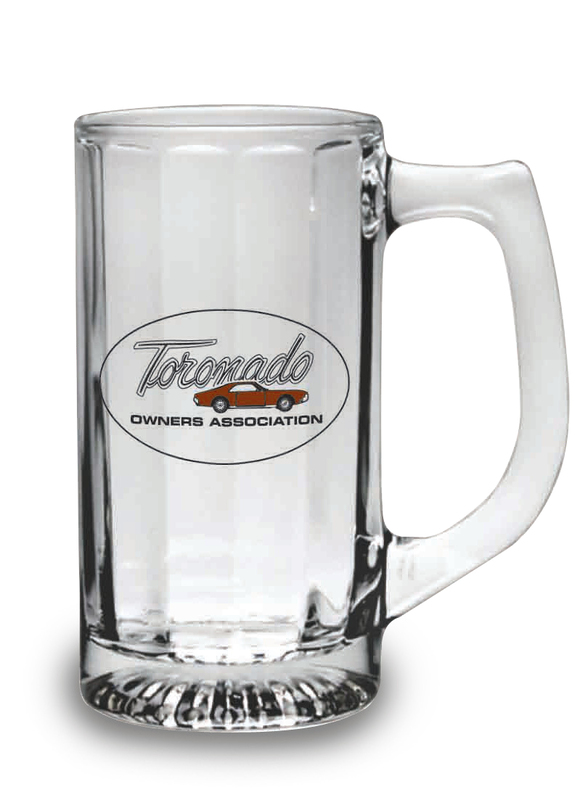 We are pleased to announce the availability of our latest Toronado product - license plates! They feature the classic original script logo in either red or black. The price is $17 each or two for $30, plus shipping. 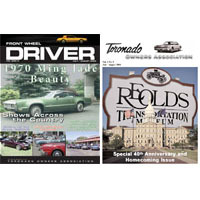 You can combine them with our other items to save on shipping - see the full list of available items on the website. Club logo on front, club website on reverse, silver printing on a bright red background. 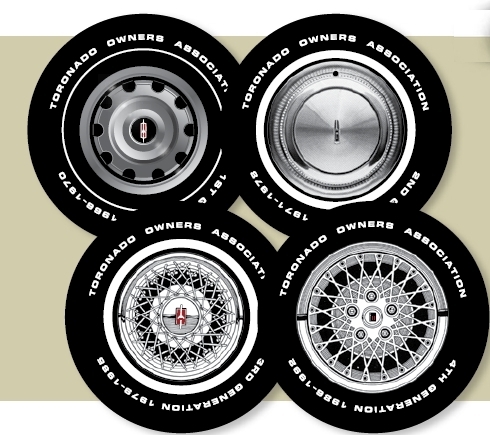 Keep some in your Toro's trunk! Two for $3.00, Four for $5.00. SEE WEBSITE FOR ISSUES LIST. MENS POLO SHIRT: HIGH QUALITY COTTON WITH SHORT-SLEEVES AND SIDE SLITS. COLOR EMBROIDERED 40TH ANNIVERSARY LOGO ON CHEST. MENS MEDIUM ONLY. LADIES POLO SHIRT: SHORT SLEEVES, SIDE SLITS, FLATTERING PRINCESS SEAMS. 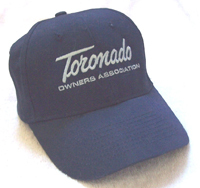 EMBROIDERED COLOR 40TH CHEST LOGO SMALL, MEDIUM OR LARGE. SETS ARE $15 EACH plus shipping & handling.